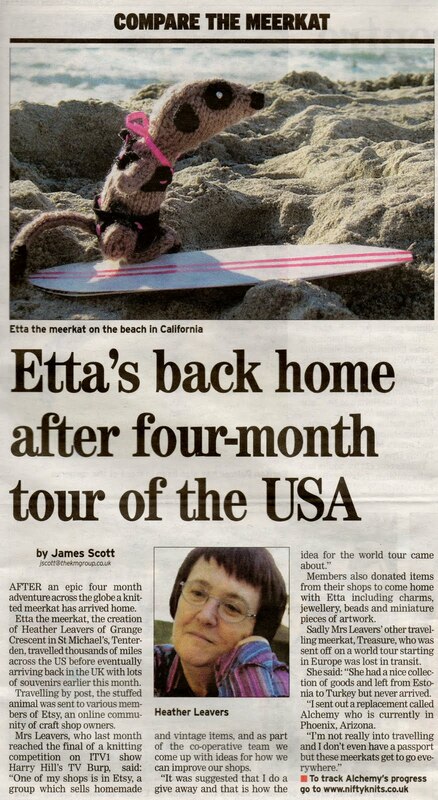 Many thanks to Etteam for their support, and to Sandie of ZaftigDelights and KnitzyBlonde for the photo of Etta on her surfboard, taken from her blog post about Etta's Christmas in California. My next blog post will hopefully catch us up to date with Alchemy's advetures, poor Alchemy has been a little neglected by me! What a crack-up, Heather! 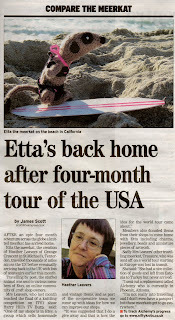 Etta's so cute on her surfboard - no wonder they like the picture!